Need a place to put your boat? Dock your boat here. Welcome Home! If you've always wanted to live on the water and walk out back to your own dock, THIS IS IT. This charming Old Florida style home with direct canal to intracoastal water frontage of 120 ft. Will accommodate a large boat and only 1000 feet to the intracoastal waterway and no fixed bridges to your Atlantic Ocean. Canal Width ~ 80'. This absolutely is a water lovers dream. This home has been thoughtfully updated with attention to every detail. The open floor plan encompasses three bedrooms and two bathrooms. The classic kitchen has granitecountertops, oversized island and stainless steel appliances. The living room opens up to a 1000 sq. ft open coral stone paver patio that is an excellent space for entertaining. New Quoizel copper light fixtures 2017. New exterior paint 2017. 500 sq. ft Chicago brick porch with tongue and groove ceiling. Custom Sunbrella drapes with coral stone style columns. Lush tropical landscape with mature Live Oak tree and charming garden accents. 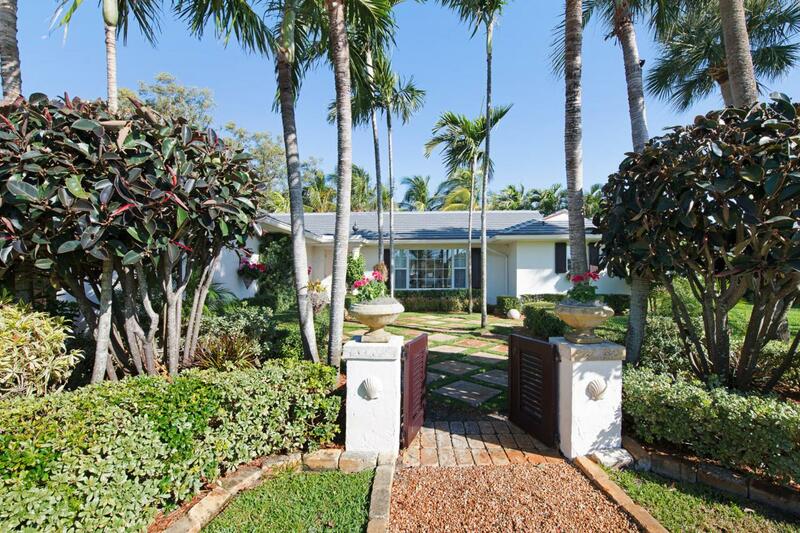 You really can't go wrong with this beautiful home in the heart of Palm Beach Gardens. What an amazing opportunity to own a home in the desirable Maheu Estates with back yard access to intracoastal and Atlantic Ocean with no fixed bridges. Also, plenty of room to add an addition and a pool. Plus, there is a cement boat ramp across the intracoastal to make transporting your boat a breeze. Perfect for anyone, this home is ideally located to enjoy summers and the amazing Florida winters on the intracoastal. This is truly a water lovers dream. Schedule your appointment today!